#9 Terriers head West to take on UMass in Amherst with puck drop at the Mullins Center set for 7 p.m. BU will seek to gain an important two points in the Hockey East race and to extend its winning streak to five games. TerrierTV subscribers will be able to watch the UMass live stream of the game. 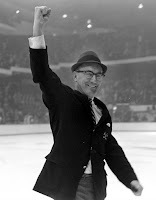 After starting the season with a 6-2-1 mark, the Minutemen have won just once in their past 18 games, which included a 7-2 defeat last month at the hands of the Terriers with Captain Matt Grzelcyk contributing a hat trick. Senior Shane Walsh and sophomore Ray Pigozzi lead UMass with 23 points apiece and Walsh is the top goal-scorer with 15. Freshman Nic Renyard has a 3.70 GAA in 18 games. With 45 goals scored in the last 11 games, BU is getting contributions from all four lines and the defense corps. Seniors Matt Lane and Ahti Oksanen (photo) lead with 14 goals each and classmate Danny O’Regan is the top point-getter with 30. BU’s 25 goals from the defense—led by Grzelcyk’s eight—is second in the nation, just one behind Providence. Freshman Charlie McAvoy will sit out tonight’s game with a lower body injury. Replacing him in the line-up is sophomore John MacLeod. Sophomore Nikolas Olsson, bitten by the injury bug again this year, has been shut down for the season, needing shoulder surgery. ► O’Regan, with 140 career points, is eight away from surpassing Peter MacArthur to become the highest scoring Terrier since 2000 and 10 away from becoming just the 18th BU skater to reach 150 career points. 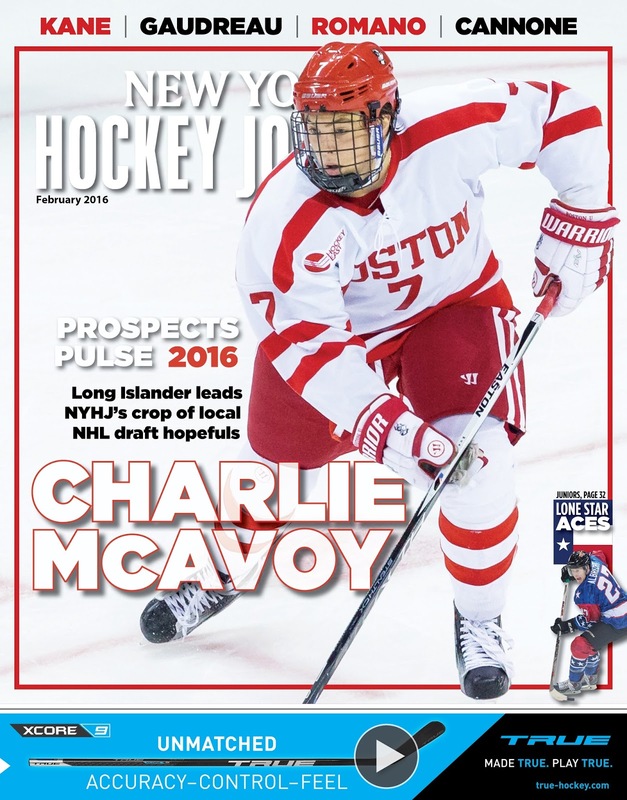 ► McAvoy, who scored the game-winner Monday in the Beanpot semifinal vs. Northeastern, is featured on the cover of the February issue of New York Hockey Journal and in a profile article (pgs. 34 & 35). The 6-1 defenseman from Long Beach is projected by many to be picked in the first round of the NHL Entry Draft, including International Scouting Services, which has McAvoy at #19 in its February rankings. NHL Central Scouting ranked him #9 among North American skaters in its midterm rankings. 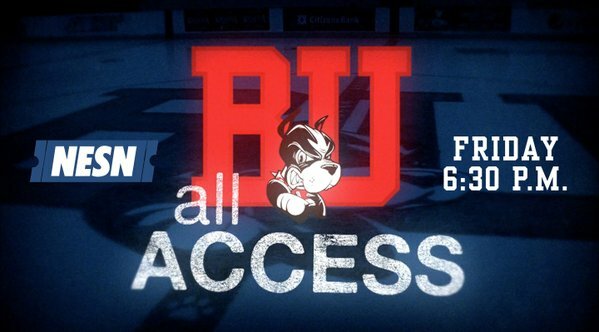 Episode 3 of BU Terriers All Access premiers tonight at 6:30 p.m. on NESN. When a link to watch the program online becomes available, we'll post it on the blog. The cover article of the 2016 Beanpot Tournament program, titled “Patriarchs of the Beanpot,” has been added to our list of Terrier Tales in the sidebar. Written by longtime hockey writer and public address announcer at Conte Forum Tom Burke, it tracks the careers of four legendary coaches at Beanpot schools: BU’s Jack Kelley (photo), BC’s Snooks Kelley, Harvard’s Cooney Weiland and Northeastern’s Fernie Flaman. All four are members of the Beanpot Hall of Fame, which former BU netminder Terry Taillefer joins this year. Matt Nieto scored his seventh of the season, unassisted, in San Jose’s 3-1 win against St. Louis. 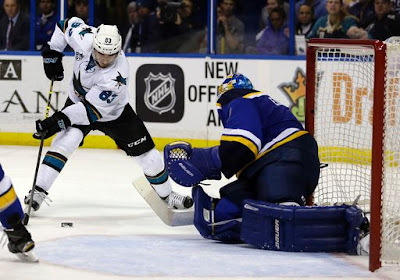 Kevin Shattenkirk, who is one point shy of 200 as a Blue, rang a shot off the post during a power play.